The benefits of including fish in children’s diet are undeniable. It is an essential food, due to its supply of omega-3 and omega-6 fatty acids, minerals, fat-soluble vitamins and high biological value proteins among others. Nevertheless, most of the time fish is not among kid’s favorite dishes, so we propose a more attractive way to present it. 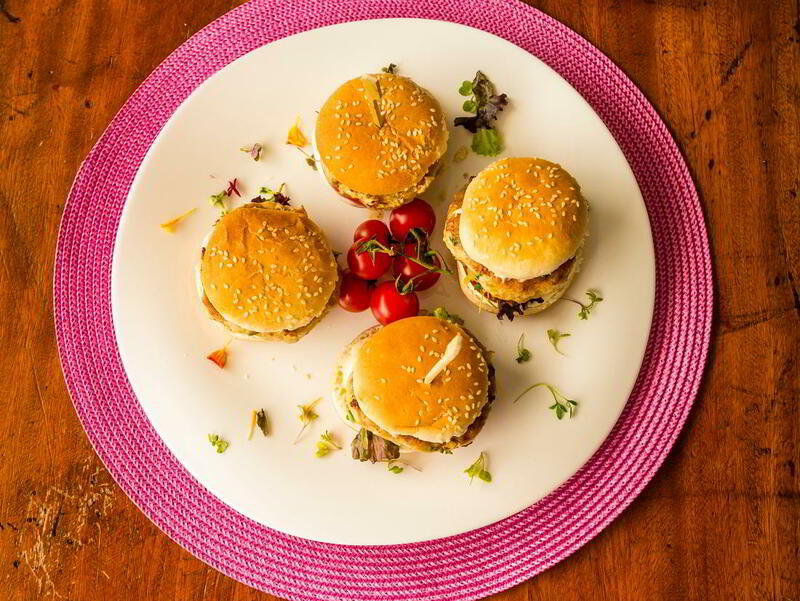 Corvina mini burgers can become an appealing lunch or dinner for the whole family, including children. Made with Corvina REX Frescamar, our Chef’s mini burgers are so simple to prepare that even children can participate in the arrangement. Involve your kids in the process and they will enjoy double! They can help you shaping the burgers before cooking them or they can assemble all the rest of different ingredients in the buns. Our recipe includes leek, onion and egg for the chopping and lettuce and tomato in the buns to reinforce the nutritional properties of this pleasing dish. A very complete, tasty and natural meal with a much lower caloric value compared to the traditional hamburger made with red meat. Through our video recipe you can prepare in just over half an hour and in a very simple way, these delicious and fun Corvina REX Frescamar mini burgers.